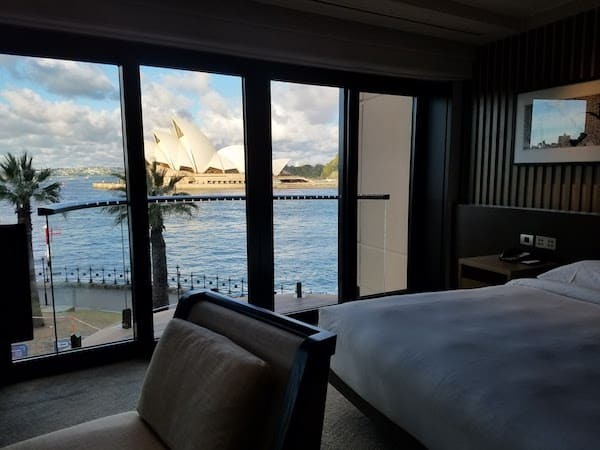 Last week I stayed at the Park Hyatt Sydney for the second time. My first visit was just after Christmas. 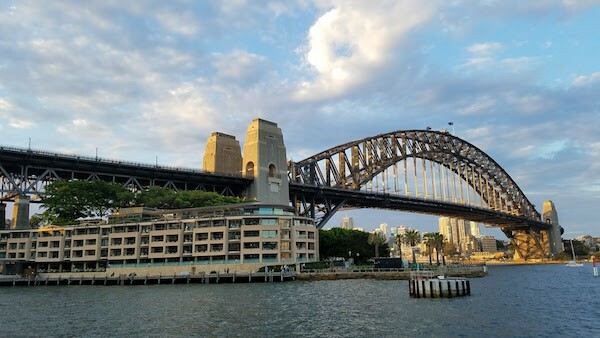 It is a fantastic hotel with amazing views of the Opera House and Sydney Harbour Bridge. 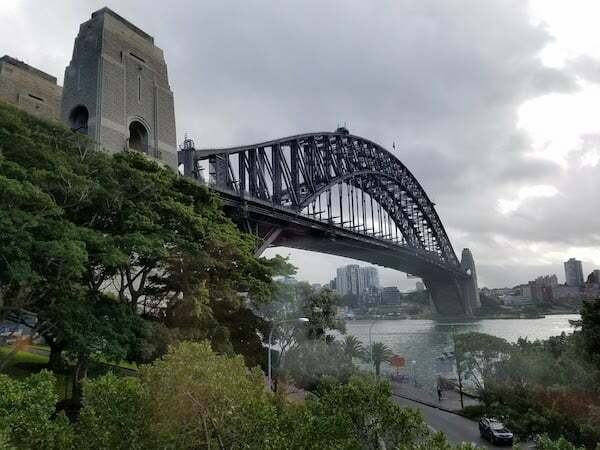 This trip I was traveling with my mom and wanted her to experience Sydney from the excellent property. I booked the first two nights of the stay using Hyatt points transferred from my Chase Sapphire Reserve sign up bonus. Each night costs 30,000 points. 30,000 Chase Ultimate Reward points can be spent as $450 cash; still cheaper than their room rate. The third and fourth nights I booked with my Chase Hyatt credit card sign up bonus. Currently my status with World of Hyatt is Explorist. This is the mid-tier status. Globalist is above and Discoverist and Member (no status) are below. My last stay at the property was as a Diamond under Hyatt’s old Gold Passport loyalty program. We arrived at the property well before the designated check in time. We were prepared to stash our luggage and head to the Sydney zoo. However, upon checking in we were told the room was ready for us. A nice surprise to be sure, and perhaps a benefit of being an Explorist. We were assigned room 008. Reading the FlyerTalk thread on the Park Hyatt Sydney I knew that this was not a good room. I asked if there were other, better rooms available. The desk agent explained there were two other rooms I could pick from — all within the same category of Park King rooms. Side note: Most of the time Park King rooms are not available for paid reservations; they are a category reserved for award bookings unless the hotel has sold most other rooms. I told the agent my understanding was that Explorists were eligible for upgrades. She said that an Explorist is only eligible for the best room within the booked category (Park King in my case). 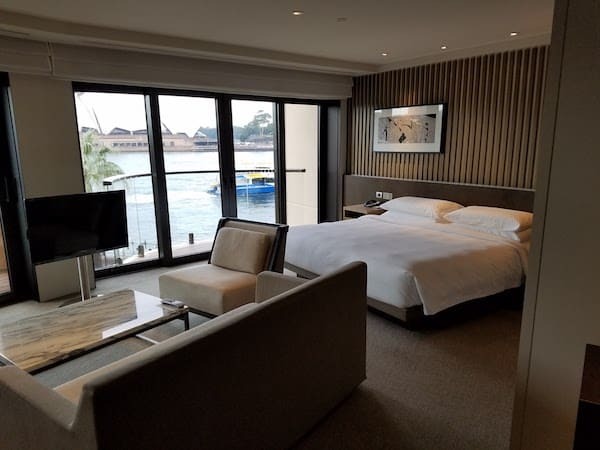 But I could upgrade to a City Harbour King for $125 AUD per night or an Opera King for an additional $650 AUD per night for the last two nights (Opera Kings were sold out the first two nights). I told her I wasn’t interested in the paid upgrade. The desk agent was very helpful and offered to show us the other two Park King rooms that were available, as well as 008, the room we were assigned. We would be able to pick whichever we liked. 008 was the first room we looked at it. It was, most likely, the worst room at the property. It was on the ground floor with a view of the road and construction fencing. No balcony or patio. The desk agent was embarrassed that the beds hadn’t been made up yet. We then were shown room 308. The layout was better than 008 (larger bathroom) and was a nearly identical floor plan to my room from my last stay. While the room had no balcony, it was above the tree and had a great view of the Bridge. The final room she showed us was the exact opposite side of the third floor and had a balcony but the view was of a tree. We decided 308 would be the best option. I was later told that 308 is considered the best Park King room as it is actually a connecting room to what they call the Presidential Suite (a series of three rooms that can be locked off — different than the actual suites on the 4th floor). Explorists will be offered the best room available at the time of check-in at Hyatt hotels and resorts, excluding suites and Club lounge-access rooms. The best room available will be determined by the applicable hotel or resort in its sole discretion and may vary from stay-to-stay. The “best room” may, but will not necessarily be, of a room type/category higher than that booked by the Member. Not valid at Hyatt Place, Hyatt House, or Hyatt Residence Club hotels and resorts or at M life Resorts. My reading of this would say that if a better room is available when checking in (as the City Harbour room was), that I should have received that without the up charge of $125 AUD. And if a Opera view room was available, I should have received that. I reached out to Hyatt on Twitter to confirm my understanding of the elite status. I decided to go back down to the front desk to check on this and to also correct the desk agent that was confusing Discoverist with Explorist. It is a relatively new system so I didn’t fault her for getting them mixed up. By chance the available desk agent was one of the managers. He apologized for the mix up, and that, yes, I was correct, I should have been given the upgraded room at no charge. Unfortunately, he explained, there were no longer any rooms besides Park Kings available for the first two nights. He would, however, get us moved to an upgraded room for the third and fourth nights if we wanted. We enjoyed our Park King for the first two nights and, to my surprise, were moved into an Opera Deluxe, the top non-suite room category, on the second floor! The room (211) actually had both a Bridge and Opera House view. Probably one of the best rooms at the property. 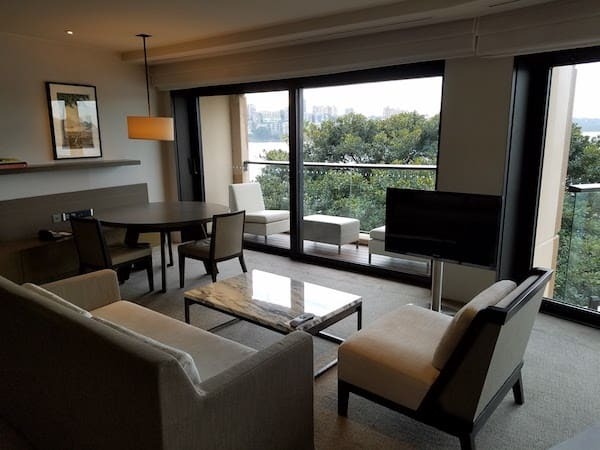 While it seems that the Park Hyatt Sydney does play some games with upgrades when it comes to award bookings, I was happy with the outcome in the end. I had a very good conversation with the staff about the situation (what is the saying, honey attracts more flies than vinegar?) and they worked hard to fix it. Refreshing to see a frequent traveler approach such a mistake with a “catch more flies with honey” approach. Kudos!